Helping our customers make the best decisions in their choice of new or refurbished packaging equipment, and in their choice of solutions for connected automation, to maximize every dollar of their investment. 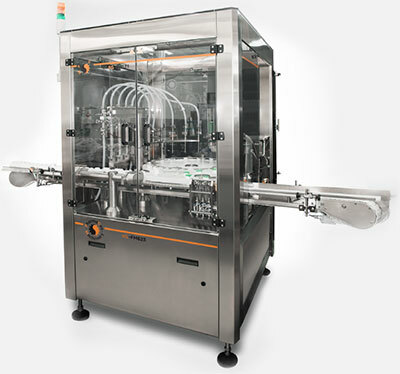 When PharmaCos Machinery entered the market in 1998, the firm quickly earned a prime position in the field of packaging equipment for pharmaceuticals and cosmetics. Supported by a resourceful team and our state-of-the-art technology, we continue to innovate and grow. Provide innovative products and solutions tailored to the needs of our customers and support them with quality after-sales service — that’s our mission and that’s how we became a leader in our industry. We simply responded to our customers’ continuously growing demand for diversified products and services. Quality customer service is, for us, a core value, as are efficiency, performance, integrity, respect, and team spirit. Only with a healthy working environment can we employ exceptional people, who will do exceptional things. We’re always searching for the best solution for our customers. Over the years, we’ve fostered excellent relationships with original equipment manufacturers (OEM). Today, with a factory of 50,000 square feet, we can offer unparalleled service and carry out major projects while maintaining close relationships with world-renowned customers.